Dawlish Warren is a fantastic holiday destination with a wonderful atmosphere, where there is something to do for everyone in the family. It has it's own blue flag beach which is beautiful all year round, and has magnificent bird life in the nature reserve. There are plenty of attractions close by including Powderham Castle, Crealy Family Theme Park, Paignton Zoo and plenty of Devon towns to visit, such as Dawlish, Teignmouth and Totnes. Exeter nearby has plenty of shopping in the refurbished city centre. There are plenty of other activities locally, including golf, fishing plus at nearby Haldon Forest there is mountain biking, family cycling and walking routes plus a Go-Ape which is fantastic family fun for 11+ children (height restriction) and adults. 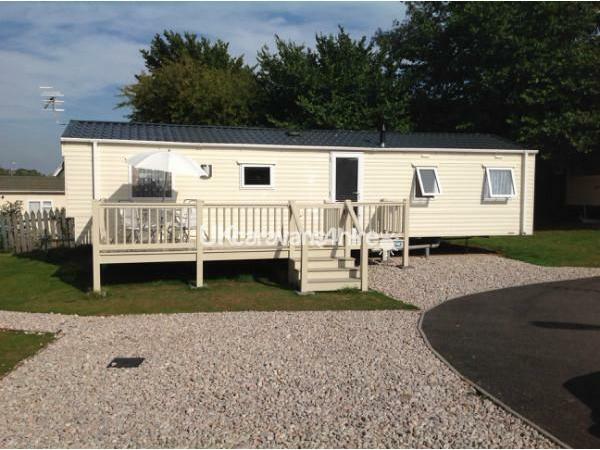 Park Holidays have 2 parks in Dawlish Warren, and you are able to use facilities on either park. Both parks have clubhouses and provide entertainment on a nightly basis through the season, from approx April to October. Passes are available to purchase from the park reception, 2018 prices were £6 per person. 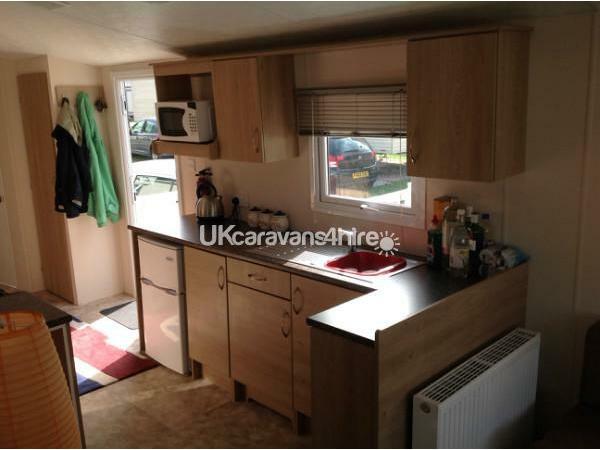 Our caravan was brand new in 2013, and the decking added at the end of summer, we love spending time here, and have added our own personal touches to make it a real home from home. It is relaxing in or out of season, lots to do in the summer and relaxing in the winter with long walks on the beach then tucking up on the sofa with the fire on and a night in front of the TV. 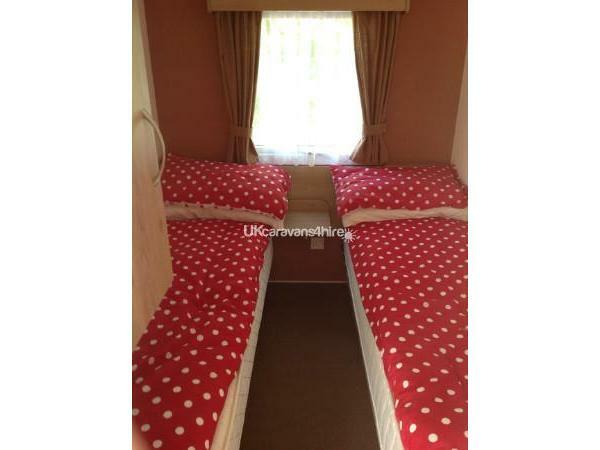 The caravan has three bedrooms, one double and two with singles. 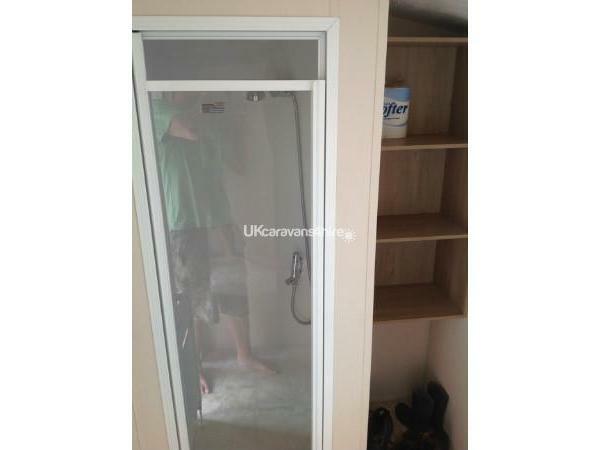 Each bedroom has clothing storage. 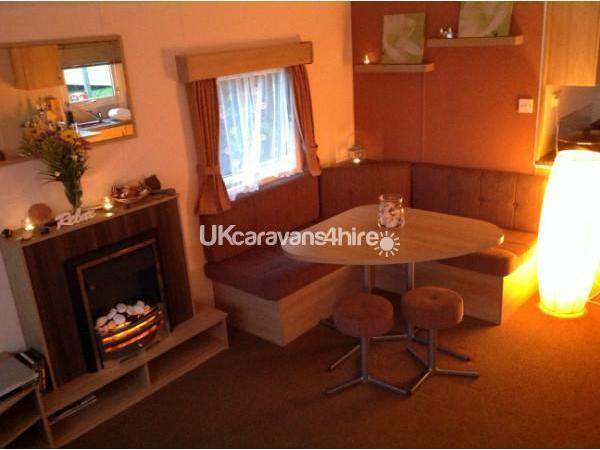 A further double fold out bed is under one of the sofas in the lounge area. 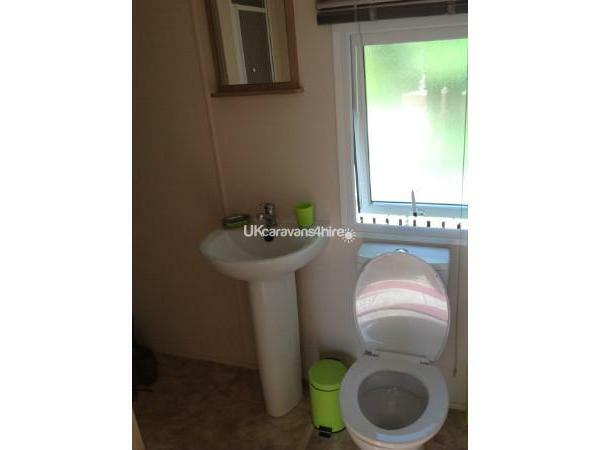 There is a main bathroom with sink, toilet and shower with plenty of storage, plus an additional separate toilet and sink. 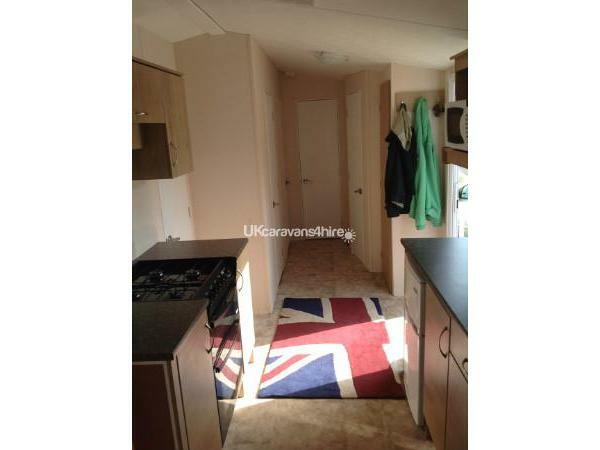 The kitchen has cooker, hob, microwave, fridge/freezer with plenty of storage. 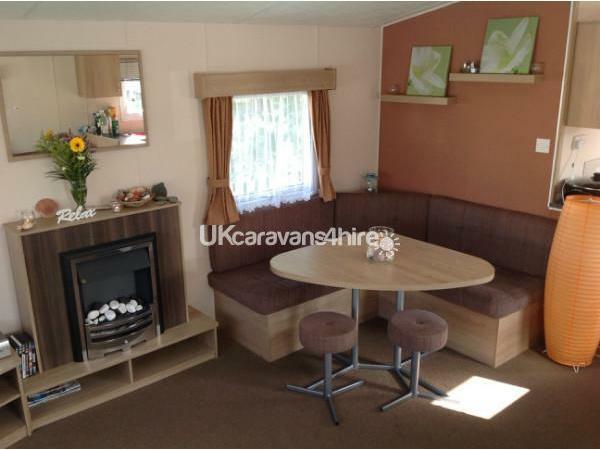 The front room area has plenty of seating for all the family with an electric fire, 32" TV and DVD player. There is an on site shop, but a 10 minute walk away there is a brand new Sainsbury's where we get our shopping. 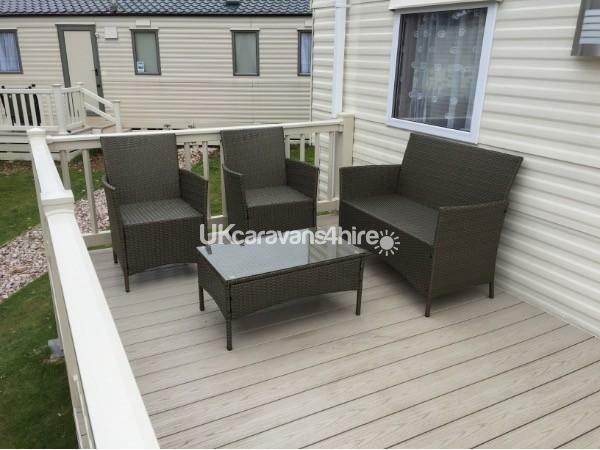 Our location on Golden Sands Holiday Park is fantastic as we are tucked away, and people are always commenting how lucky we are to have secured this magnificent location. 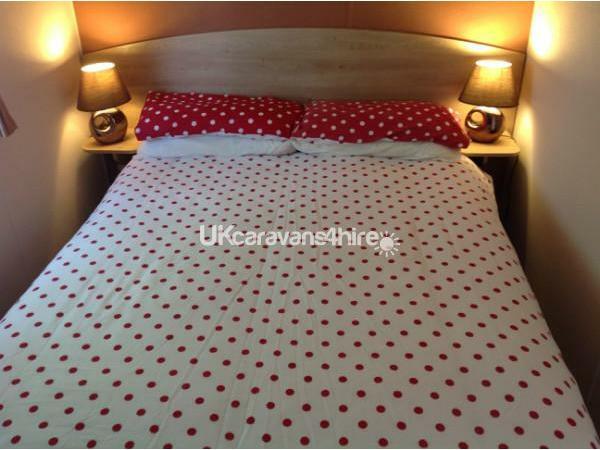 Please feel free to contact me for further information or if you wish to rent for shorter periods than 7 nights. You do need to bring your own linen and towels. 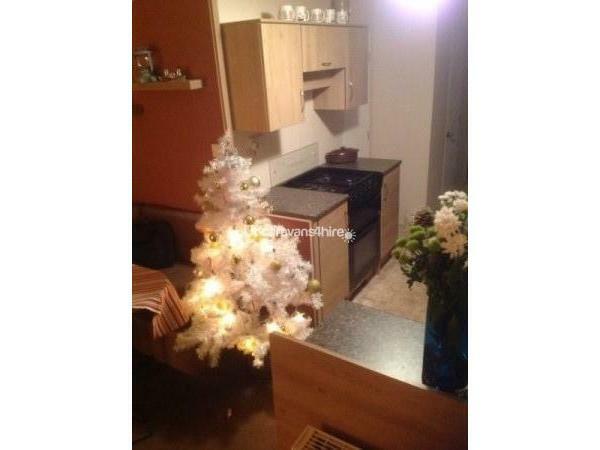 A deposit of £100 is required to secure your booking (email is best) and full payment is to be made eight weeks prior to your arrival (both is non refundable). 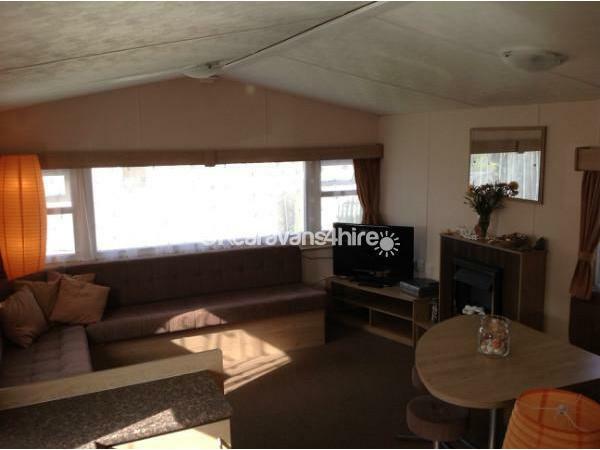 We also require a refundable £100 deposit which will be refunded if there is no damage or loss in the caravan, we feel it is necessary to do this to preserve the personal touches we have incorporated in our lovely holiday home. Additional Info: To use the swimming pool and participate in Bingo in the clubhouse requires a Park Pass to be purchased from reception. 2018 prices are £6 per person.